Francisco's Gardening and Maintenance has been serving Marin County residents since 1994. 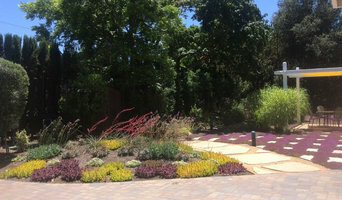 We use a simple yet effective maintenance program that produces a beautiful garden year round. We have extensive experience in creating vibrant and elegant landscapes. Click to schedule a FREE appointment and see why Marin Residents have trusted us since 1994! We believe in Plant-driven design principles that offer an integrated approach to environmentally safe landscape practices consistent with Bay friendly landscaping guidelines. Experience. Honesty. Integrity. With more than 40 years of combined experience in the landscape and green industries, DeLopez Landscaping provides full-service sustainable landscape management to Sonoma, Marin and Napa Counties. We service commercial, residential, estate and winery properties. We have been in business since 2004 and are dedicated to excellence in the landscape industry by giving personal service while caring for the landscapes and nature. As people are becoming more aware of their environment, they are looking for ways to reduce toxins around them. We believe by promoting our sustainable features of changing from synthetic materials to organic materials, the landscapes become healthier because we are building healthy soil structure in which plants thrive. Our knowledge of organic horticulture coupled with our knowledge and experience in landscape construction and irrigation sets us apart from our competition. 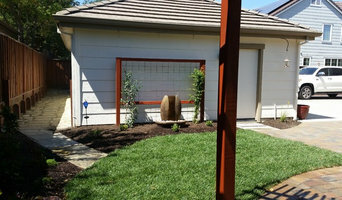 Bay area landscaping company specializing in installation and maintenance. Properly Equipped And Experienced Landscape and Tree Service Contractor ready to tackle all of your needs. Setting The Standard One Yard at a Time. Welcome to Vision Scapes & Associates. We take pride in being a turn-key landscape construction company. Our firm specializes in innovative design solutions & construction in the outdoor living experience. We begin with creative designs & themes for all outdoor living! On our website please view our sensational planting schemes, water conservation gardens, aquatics scenarios, swimming pools & spa’s, patio wood-works, masonry, outdoor lighting, custom outdoor rooms with fireplaces, and beautiful landscape ornamentations. Our team of seasoned craftsman deliver a finished project of detail & artistry. Vision Scapes & Associates Inc. was founded and is owned by Victor J. Ruesga graduate , Cal Poly Pomona, with a B.S. in Ornamental Horticulture. Victor’s artistry and 38 years of experience bring to life the ultimate landscape experience. Our staff of 13 field construction artisans boast a collective tenure of 20 plus years working together as a team. We welcome you to see for yourself what you deserve to enjoy in your next outdoor living project! Alain eventually created his own landscape construction company called Inscapes 30 years ago. He has completed a number of projects, large and small in and around the towns of Tiburon, Belvedere, Fairfax, Mill Valley, San Anselmo, San Rafael, as well as elsewhere in San Francisco and in the general San Francisco bay area. He is known by his clients and a number of practicing landscape architects for his work ethic, his expertise in all phases of garden design and installation, and his honesty in his relations with clients and other professional cooperators. Founded by Richard Massiatt back in 2001, we're a professional Landscaping Service that's proud to offer our services to clients throughout the Central Valley and surrounding areas. 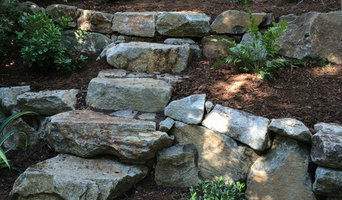 Richard's Original Landscaping, maintains the highest standard of workmanship and customer service. We aim to not only meet your needs, but also exceed your expectations of what a dependable landscape design & construction company can be. We are a Landscape Contractor handling everything From Design to Finish since 1994. Blair Landscape Services, Inc. brings more than 30 years of expertise to your landscape project. Our landscape ideas, landscaping knowledge, experience and passion is evident in each project starting with design and finishing with installation. At Blair Landscape Services, we take pride in our outstanding customer service and high quality work. Our clients repeatedly compliment us regarding our good communication skills, commitment to details and beautifully landscaped properties. Our commitment is to provide a wonderful landscape experience to our clients. Blair Landscape Services is fully licensed, insured and bonded for your protection. Randall Blair is the president and owner of Blair Landscape Services, Inc. He has a background spanning three decades in Horticulture and a B.S. Ornamental Horticulture degree, Cal Poly San Luis Obispo, 1987 (Landscape Industry concentration). Randall's knowledge and experience makes him an ideal source for completing your landscape goals. We work with our clients vision and budget to obtain a landscaped outdoor environment that is an exceptional living space while increasing property value. We are happy to provide free estimates and to help answer any questions you have about landscape ideas and landscaping services for front yard sod, sprinkler irrigation system, outdoor lighting and back yard planters, patio, trex decking, garden plants, pavers and much more. BellaVista Landscape Services Inc. provides an array of horticultural services to the commercial, multi-family and residential communities. We strive to be recognized as a company that cultivates long-term business relationships based on mutual benefits. Our goal is to provide quality horticultural services, efficiently and effectively, to enhance the value of our clients properties and to provide for the future opportunities of our employees. 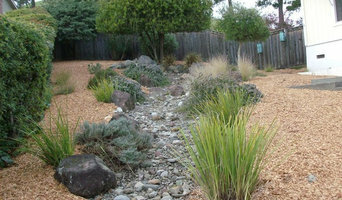 We are a family owned landscape services company based in the greater Bay Area and Sacramento. We provide all facets of landscape maintenance, construction and design services. As a leader in the landscape industry we are dedicated to high level customer care, and high quality horticultural services. We specialize in resolved, bespoke spaces of all scales and budgets. Whether you are wanting turn-key garden care, a seasonal refresh, event and home sale staging or simply adding some fun color, we look forward to helping you articulate your vision. We offer the following services: landscape staging, container planting, seasonal color installation, fine pruning, and fertilization! Let us update your existing garden with new plant material and bark!